Enjoy this completely personalized private tour of Granada’s Alhambra and enjoy Granada’s most important monuments and sights. Take this opportunity to get to know Granada in this experience with your own private official tour guide for 3 hours in Alhambra. You can enjoy the tour comfortably with your private luxury vehicle and chauffeur as well as a separate official tour guide. Private vehicle with chauffeur transfer from your hotel to Alhambra and return. We can organize a transfer and pick you up from your hotel or place of your choice and take you on this private shore excursion to get to know Granada. If no pick up is desired we will meet directly at Alhambra. 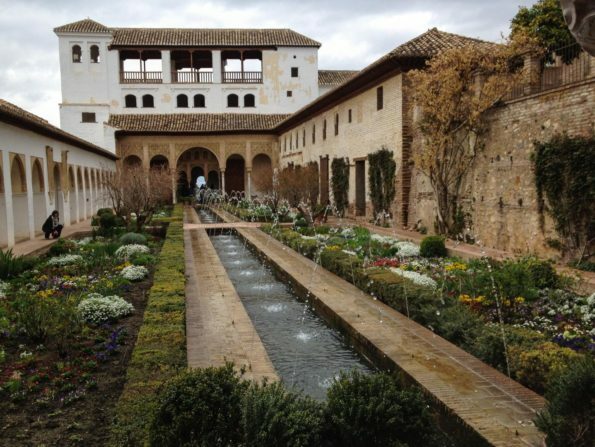 In Granada you can find one of Spain’s most important monuments, The Alhambra. This is a Moorish citadel and Palace. It is the most renewed building of the Andalusian Islamic historial legacy and it makes Granada a popular destination among tourists. Started to be builded in the 9th Century, but not until the year 1342 that the royal family moved to this gorgeous palace. Alhambra is located on a very strategic point, from where you have panoramic view of the whole city. We can arrange entrance tickets to the Alhambra and any other monument, always subject to availability.